No need for these orange glazed sweet potatoes to be saved just for your holiday festivities, they make for a great addition to any meal! Are Sweet Potatoes and Yams the Same? That sweet, orange-colored root vegetable that you love so dearly is actually a sweet potato. 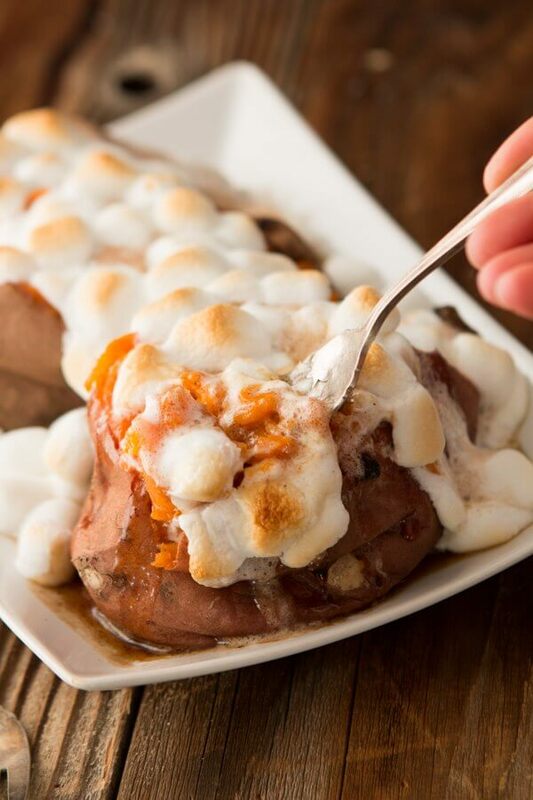 Yes, all so-called “yams” are in fact sweet potatoes. Most people think that long, red-skinned sweet potatoes are yams, but they really are just one of many varieties of sweet potatoes. I love fall, it’s a reminder to us of so many things. This year I’m especially reminded of our good fortune in having wonderful friends and a loving family. How lucky we are to have both! I took these orange glazed sweet potatoes to our neighbor’s early Thanksgiving Dinner the other day. 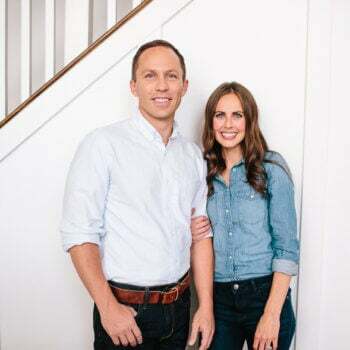 They have a new baby coming and wanted to still be able to have Thanksgiving. It was a lot of fun to have a big dinner all together and see what everyone brought. 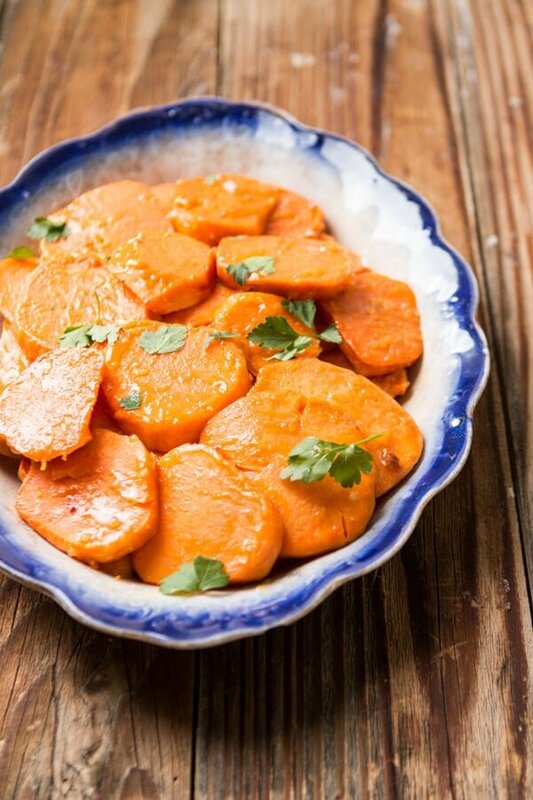 Are Sweet Potatoes Healthier than White Potatoes? The same amount of white potatoes and sweet potatoes contain about the same amount of carbohydrates (1/2 cup = 15 grams of carbs). 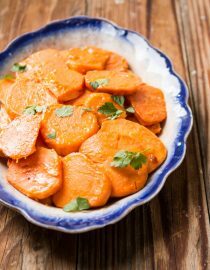 Sweet potatoes, however, have more fiber and are slightly lower on the glycemic index than white potatoes. I saved this post until now since it’s a little closer to Thanksgiving. 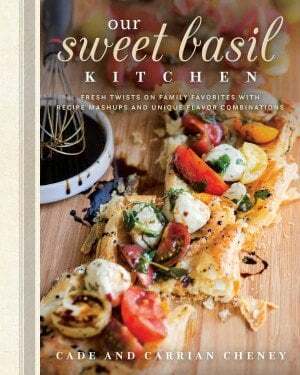 This is a really yummy twist on sweet potatoes and I usually don’t even like sweet potatoes if that tells you anything. 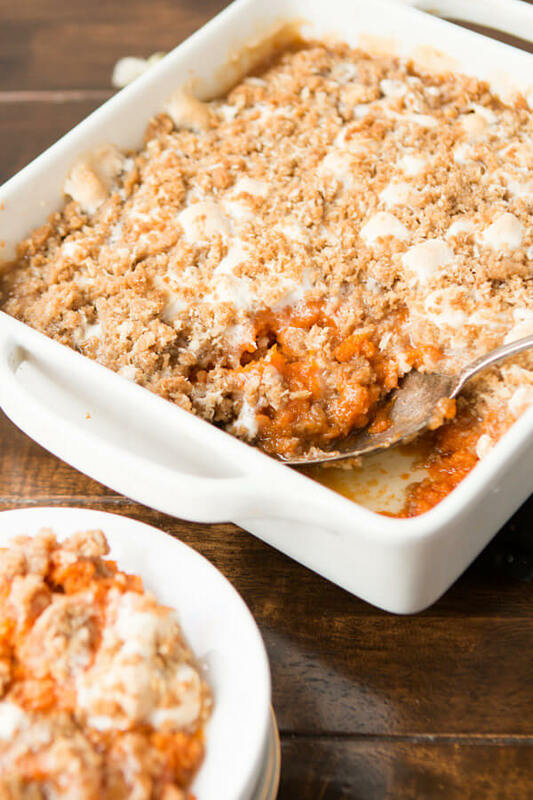 Most sweet potato recipes are smothered with butter and sugar and all sorts of goodness that really seem to cover up the all deliciousness that a sweet potato has to offer. 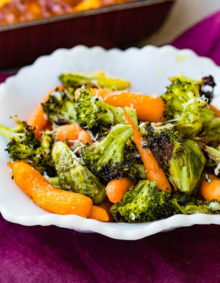 This recipe really adds to the flavor and makes for a great side dish to compliment any of your favorite autumn meals. I got the recipe from my girlfriend, Lisa and made an adaption. 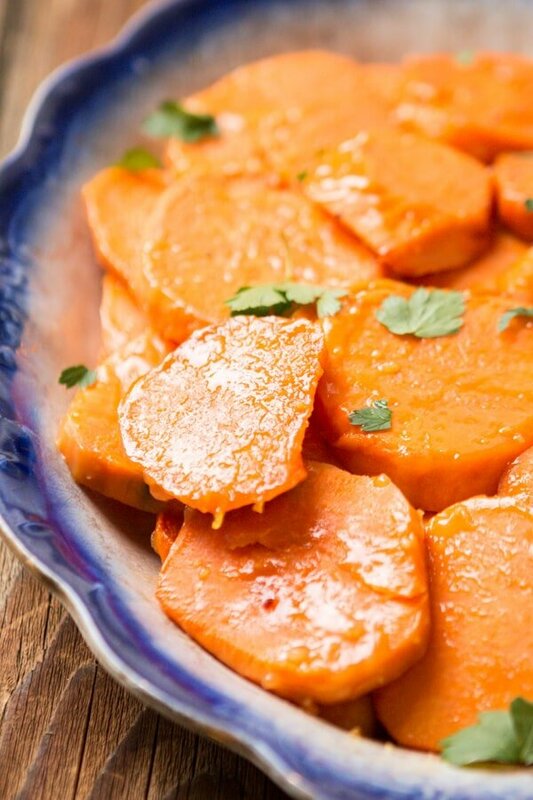 Can Cooked Sweet Potatoes be Frozen? 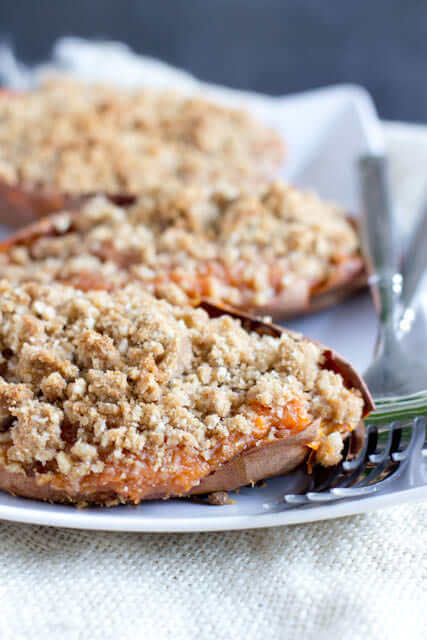 Bake the sweet potatoes for about 1 to 1 1/2 hours, or until tender. Let the potatoes cool for about an hour in the oven. At this point, you can wrap the cooled sweet potatoes in foil and transfer them to freezer bags to freeze whole. Peel the sweet potatoes and slice in circles. Place the sweet potatoes in a pot of boiling water and turn down to medium heat. Cook until almost tender, about 8-10 minutes. 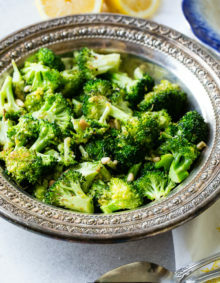 Remove from water and placed in a greased 9×13″ baking dish. In a saucepan over medium heat, add the orange juice, brown sugar, white sugar, corn starch, and orange zest. Season with salt and pepper and slowly cook the ingredients together until it comes to a boil. Stir in the butter and then pour over the sweet potatoes. Bake at 350 until hot and bubbly, about 20-25 minutes. Absolutely stunning! The potatoes look a bit like freshly cut pieces of mangoes in the first image. Is this clicked by you? Nice recipe. thanks for sharing..! 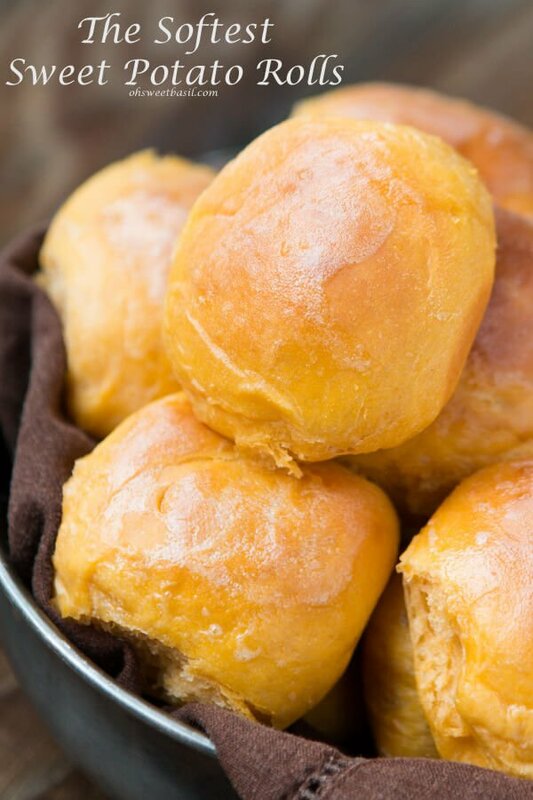 This glazed sweet potato recipe is almost identical to our family recipe and they are not only delicious, but addictive! Take then 1 step further and instead of baking, lay the slices on a baking sheet, brush with the glaze and broil lightly browned. There won’t be 1 slice left. Barbara, That sounds amazing!! I love broiling so I’m trying it next week! 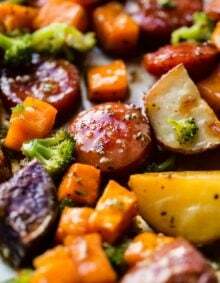 I love yams but I've never seen it cooked so colorfully and it looks delicious! I am sure I'd love giving it a try! What a gorgeous color! How fun to share an early Thanksgiving with friends! mmm, that looks yummy. I never liked yams, but when I got married I discovered that I do like sweet potatoes. If you don't think you like them, start with the lighter, yellow colored potatoes and work your way up to the orange ones. The yellow has a sweeter, milder flavor.